Our Squat Rack with Pullup Bar is the best value squat rack + pullup bar setup on the market today. 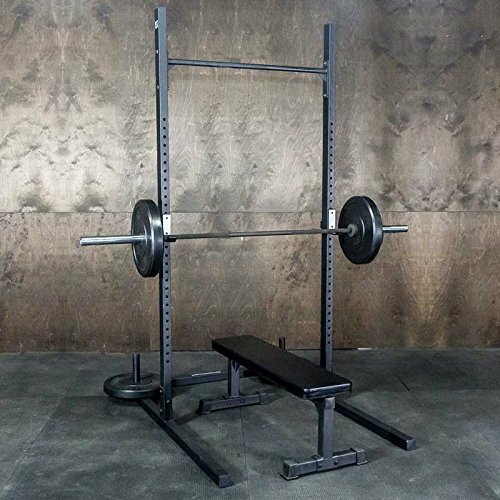 This rack is built to withstand all your WODing demands- kip away on the pullup bar, squat and press with ease and even store your bumper plates on the floor-mounted weight horns. This setup accepts optional safety bars for squatting or bench press.